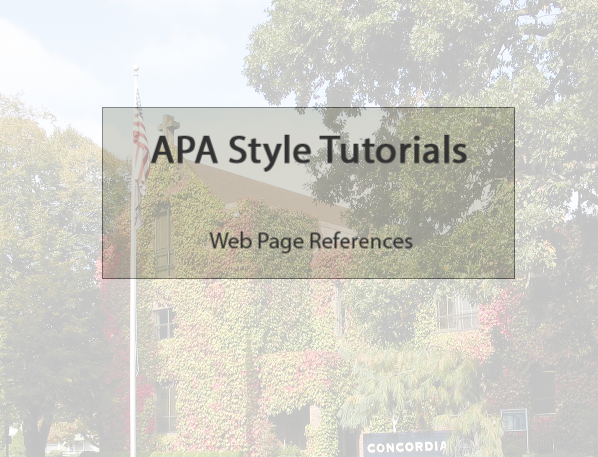 APA References: websites, online videos, online images, etc. A reference to an Internet source should include at least a document title or description, a date (the date or update of publication) or n.d. (no date), and an Internet address, or URL. It should also include the author, if given. Whenever possible, readers should be directed to specific documents rather than index pages. Italics? Wondering when to use them? See this blog post from the APA. 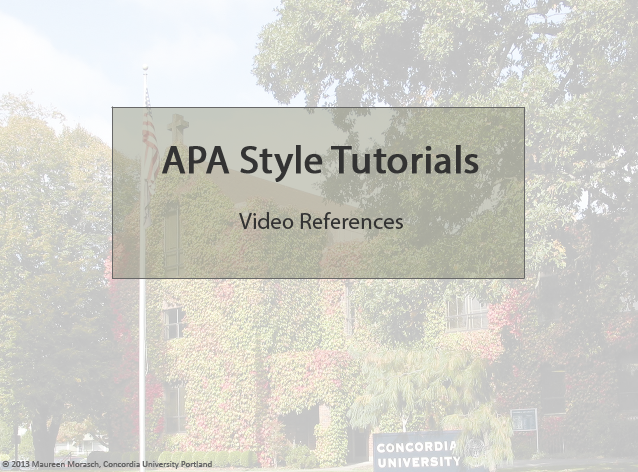 See the CU APA Style Guide for more examples. Click on the image below to play the tutorial.